He becomes the eighth director on the FSF's board. The full list of their names and biographies can be found at http://www.fsf.org/about/staff-and-board. "Matthew Garrett is a truly committed defender of users' freedom. The FSF is fortunate to have him on the board of directors," said FSF president Richard M. Stallman. 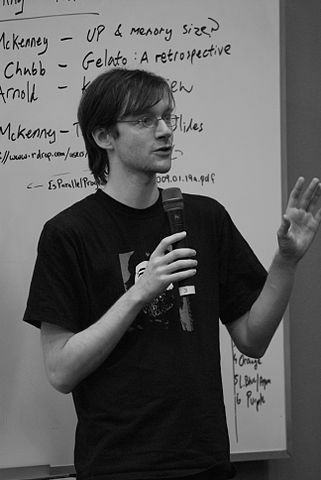 A developer specializing in the interactions between operating system kernels, platform firmware and system security, much of Garrett's work has focused on mechanisms for avoiding the oft-suggested tradeoff between user security and user freedom, ensuring that users have ultimate control over which software their devices will and will not run. FSF executive director John Sullivan said, "Matthew has generously donated his time and expertise to advise the FSF on many issues in recent years, especially Restricted Boot and other disconcerting trends at the intersection of hardware and proprietary software distribution. His willingness to increase his involvement in FSF technical and policy leadership is fantastic news for our members and supporters." Earlier this year, Garrett won the Free Software Foundation Award for the Advancement of Free Software. He holds a PhD in genetics from the University of Cambridge, and presents frequently around the world on the topic of free software in wider society. On accepting the invitation to join the board, Garrett said, "It's been almost thirty years since the Free Software Foundation was founded, and in that time free software has become an indispensable part of computer use everywhere, creating an entire new generation of users and developers for whom free software has always been ubiquitous. Unfortunately, the number of threats to user freedom has also increased over that time. The FSF continues to campaign against attempts to restrict the rights of users and developers to be in ultimate control of the software that they use and the devices that they own, and I'm proud to be able to be a part of that." The above image is licensed under Creative Commons Attribution-ShareAlike 2.0 by nekonoir on Flickr.